Converting Prof. William Lane Craig to Islam – For Christians, To be Born Again in Islam! William Lane Craig (born August 23, 1949) is an American analytic philosopher, philosophical theologian, and Christian apologist. He is known for his work in the philosophy of religion, philosophy of time, and the defense of Christian theism. He is notable for reviving interest in the Kalām cosmological argument with his 1979 publication of The Kalām Cosmological Argument, an argument for the existence of God with origins in medieval Islamic scholasticism. In theology, he has also defended Molinism and the belief that God is, since Creation, subject to time. Craig has authored or edited over 30 books, including The Cosmological Argument from Plato to Leibniz (1980), Theism, Atheism, and Big Bang Cosmology (with Quentin Smith, 1993), Philosophical Foundations for a Christian Worldview (with J.P. Moreland, 2003) and Reasonable Faith: Christian Truth and Apologetics (3d edition, 2008). Prof. Craig has emerged as a leading Christian apologist in recent times. It will be wonderful if he converts to Islam. But, given a life time of indoctrination and all the social, financial and academic perks that he presently enjoys, it is hard for him to believe in Islam, short of a miracle. But, it is easy to show that God that he has been defending all his life so eloquently is God of Islam and not God of Triune Christianity. Through his debates, he has been known to instill the fear of God among the atheists. The Holy Prophet Muhammad, may peace be upon him, had prophesied that Muslim Messiah will break the cross and cause renaissance of Islam. The Messiah, Mirza Ghulam Ahmad Qadiani came in India in fulfillment of these and other prophecies of the Holy Prophet Muhammad and the Holy Quran. He wrote very powerful arguments in favor of Islam and refutation of false doctrines of Trinity and vicarious atonement in Christianity. 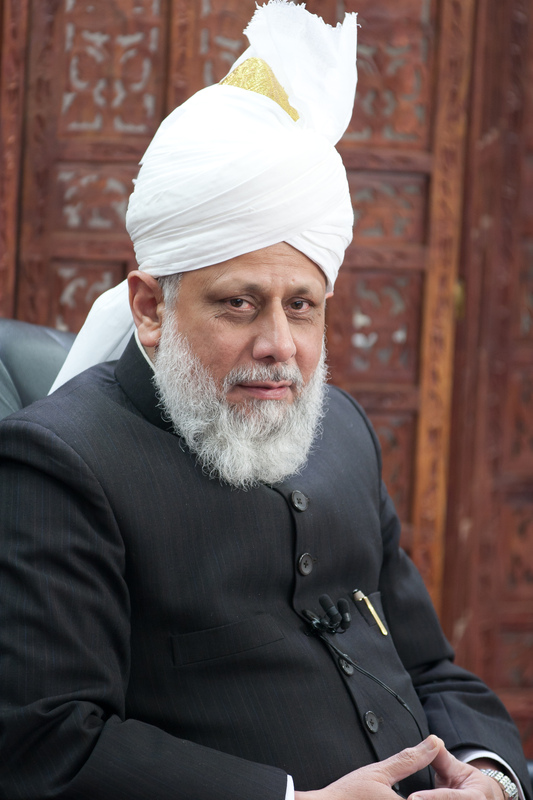 He also laid the foundation of a dynamic and missionary community of his followers, Ahmadiyya Muslim Community, almost 120 years ago. Since the very beginning the Ahmadi apologists of Islam have enjoyed logical supremacy over their Christian counterparts. The Christian apologists in India were shy to engage Ahmadi Muslims in dialogue or debate a century ago in India and later in Africa and this will continue to be the case. In other words the Ahmadi Muslim apologists have been putting the fear of Allah in the hearts of the Christian apologists for the last 120 years and God willing, this post will be no exception. After I convert all of Prof. William Lane Craig’s scholarship, in favor of Islam in this post, I will challenge him to a written debate in the last part of this post to defend his Christian God. I believe and pray that he will be hard pressed to do that as I will be using all of his own debates, writings and scholarship against him, in favor of Islam and he will have the additional burden of defending against all I have collected against Trinity, vicarious atonement, Eucharist, different Ecumenical Councils and two natures of Jesus in our site Islam for the West. Additionally, if Muslims start talking about Mother Mary, as mother of Jesus, may peace be on him and its ramifications, Christian God disappears in thin air. My first exhibit to show that Prof. William Lane Craig actually presents the God of Islam and not the Triune God of Trinity is Cambridge Union Society God Debate (Oct. 2011). The motion for this debate was “This House Believes that God is not a Delusion.” It took place before a packed house at the Cambridge Union Society on 20th October 2011, as a part of William Lane Craig’s Reasonable Faith Tour 2011. Be sure to watch until the end to hear the results of the votes! Proposing the motion were William Lane Craig and Peter S.Williams. In this debate Craig and his partner argued that such a cause has to be an unembodied mind, which is God. The argument is sound. But later someone questioned, as to who created God? Prof. Craig’s reply is that God is eternal and did not begin to exist. He conveniently forgets that Jesus has two natures, perfect man and fully Divine, and his human part certainly began to exist. Even the divine part began to exist if we have to logically understand Jesus as the literal son of God the Father. Both the father and son cannot be co-eternal or they lose the paternal-son relationship! According to both Christian and Muslim traditions, Jesus developed for 9 months in the womb of Mother Mary and was born between 1-4 AD. So certainly the two natured Jesus, as presented by the Christian dogma had a beginning and needs an explanation, like our universe according to Cosmological argument. But, the God of Islam and Judaism, Who is perfectly beyond time, space and matter and is eternal and causeless, does not need an explanation of His causation! Around 47 minute mark Prof. Craig says in this debate that here they are defending Monotheism of Jews, Christians, Muslims, Deists and Theists of many sorts. Soon after, he goes onto say that the ontological, cosmological and other arguments presented, during the debate offer you, “A metaphysically necessary, beginningless, eternal, uncaused, timeless, spaceless, immaterial being, Who is omnipotent and source of absolute moral values, now that is a concept of God worthy of worship!” Now, it is abundantly clear to everyone, except those whose senses are dulled by life time of indoctrination in Christian dogma, that Jesus, who is perfect man and fully divine, according to the Christian teachings, does not have any of these attributes. Jesus was born in 1-4 AD and had a beginning and therefore is not eternal. He was caused and spent 9 months in the womb of Mother Mary. He is not timeless. He occupied space and many of his disciples touched and saw him. He often expressed his human weaknesses and vulnerabilities in the canonical Gospels. Need I say more? Prof. Craig is talking about God of Islam and possibly Judaism but not Triune God of his Christianity! In the following debate Prof. William Lane Craig makes good arguments for existence of God as he usually does. But, as is his style, he also makes some frivolous and weak arguments for resurrection of Jesus, may peace be on him, which I have refuted in other posts and I am linking one here. So, we learn from him when he is right and knowledgeable and ignore him where he is ignorant! Once the Triune God of Christianity is refuted, this and many of Prof. William Lane Craig’s debates become defense of the Transcendent God of Islam and Judaism, Who is truly beyond time, space and matter. According to the Christian doctrine Jesus is part of Triune God. At the same time they also claim that God raised Jesus from the dead. How could it be? If a third of God was lying dead, how could the rest of the two third function? If it could function well then there was no need for the remaining third. Please think about it! Around 1:49 time mark Prof. William Lane Craig remarks that God is Transcendent and you cannot touch Him, see Him or feel Him. He forgets that he believes in Jesus to be God and Thomas did touch his wounds after resurrection and countless people touched and saw him before. The point being that Christian belief in divinity of Jesus is such an irrationality that it is impossible for even the smartest Christians to keep track of the ramifications of their Triune God in day to day dialogue. I invite Prof. William Lane Craig to a written debate here to defend his Triune Christian God. Whatever he posts in comment section will be accurately presented and he can of course reduplicate his comments in his own site. So, it will be an honest debate rather than showmanship and trickery. If he chooses not to engage in a written debate here, then let the readers know that the Christian Triune God, not only died for three days in the first century CE, but, is permanently dead! It is very likely that when a Muslim reader presents all this information to his or her Christian friend, he or she will unconsciously give up reason and take refuge in ‘faith.’ At this time our Christian brothers and sisters will need to be reminded about the absurdity of their move by a question that as to why they were participating in a discussion in the first place, if it is all a matter of faith. Additionally, why have the Christian apologists been trying to reason and preach their faith for two millennia now? They could also be asked that don’t they believe that it was the reasonability of Christian faith, which gave it ascendancy over Paganism in the early Roman Empire? Now the Christian friends may be ready for another article: Faith and reason: an invitation to the Christians.